The only place in India where you can see more foreigners than in a temple. It seems like they feel at home when they come to such a place. While we are busy gazing at them, they happily talk for hours together sipping a cup of cappuccino. Toastmaster of the Day, all the coffee loving people in the house, Coffee shops are on the verge of becoming a case study. Let me tell you how. You will find a lot of modern art that has found its way into this place and that is when you start thinking that you could have sold your childhood works too. Every street that has a dozen branded outlets will have a coffee shop so that after u do you’re bit of Shopping, you can chill out. Back in 2010, when hookahs were legal, people had a hard time finding the service counters amidst the smoke. Talking about the furniture in the place, you will find one of everything – one bean bag, one chair, one couch and one stool. Seems like there is some rule that says they have to go with one of each. I have seen many people go for Tropical Iceberg or Chocorocks solely for the reason that the first few items on the menu card are difficult to pronounce and no one wants to risk their stature before others in a place like that. Even Toastmasters like us do not want to take the risk of being the laughing. And recently, they named a drink as “ What the f…. un “. Yeah you heard me right. It’s what the fun. I was not getting into taboo topics here. One thing about the coffee shops are they serve everything there. I don’t find a reason why they get into all the food when it is called just a coffee shop. Sometimes I feel that it should be called Hotel Coffee or Coffee Vilas. You will find a variety of people in the Coffee Shop – especially the ones who are lazy. For example, when my mom gives me coffee and when sugar is less, I scream out to mom to make sure she takes it back and comes back after making the necessary additions. But in this case, I get up, go fetch some sugar packets and add them until it tastes like Coffee. Sometimes I feel we make our own coffee, all the adding and stirring part @ Coffee Shops. 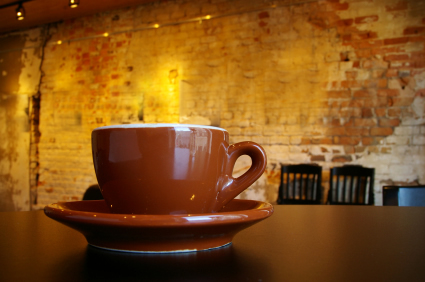 You will find Businessmen who firmly believe that all the decisions that they take in Coffee shops are profitable. This culture is fast spreading, as you will find a lot of suited men with laptops and ipads. They will look very serious and when I managed to get a sneak peek at the Ipad, it was Angry Birds. Some of the most important tasks are completed at the Coffee Shops. Once when me and my friend had been to a Coffee Shop and after spending quite some time there discussing about the next big what (Yeah we do that too), we got started to leave and that’s when I noticed that my friend’s arm. Its alright with me as long as you give credit to my work. Do share your blog. Would love to know more.